At Chula Vista Tile and Stone, we offer you great products and services with the highest levels of customer satisfaction & we will do everything we can to meet your expectations. We are a family owned and operated company specializing in the custom fabrication of high-end kitchen cabinetry and countertops. We are dedicated to providing superior products at affordable prices. We proudly serve our customers with pride, integrity, and by paying attention to the details that matter most to them. These are a few of the many things that set us apart from the rest. 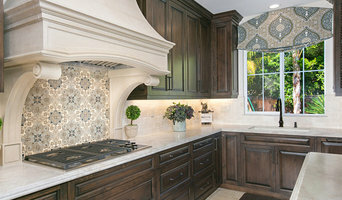 Best of Houzz 2016 - 2019 Fisher Gross Kitchen & Bath Studio Showroom Hours: Mon - Fri: 9:00am - 5:00pm Saturday: By Appointment Fisher Gross Inc. was founded in 1999 to participate with homeowners and industry professionals in creating custom residential designs and remodels. Fisher Gross Inc. is a full design build company. We are licensed general contractors as well as designers. We are able to take on your project from design to finish no matter what the size. Our designs begin with the fundamental aspects of space and moves onto the functional necessities, while focusing on the personal needs of the home owner. Every detail is evaluated as to its effect on the balance and harmony of the entire space. We believe that every area we design for you must be practical, durable, multi functional and beautiful. By combining wide selections of styles, functions and features Fisher Gross Inc. will create that unique space for you to live in and enjoy for years to come. The mission at Unique Stone Imports is to make the design process simple, exciting, and rewarding, while providing enough support to ensure a result that is both beautiful and timeless. Found in 1975, M S International offers over 45,000 surface options including natural stone, porcelin, ceramic, glass and quartz. 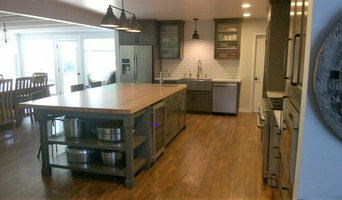 San Diego's Expert in Kitchen & Bath Remodels, Built-Ins, and more! Cabinets By Design is committed to the highest level of customer service and quality of workmanship no matter how large or small your project or budget is. They pay attention to the smallest details! Acadia Construction is dedicated to giving you our full attention from the design & planning stages, through the final, finished home renovation that you have envisioned. Since 1984, we have specialized in complete home renovations, including kitchen and bathroom remodels. 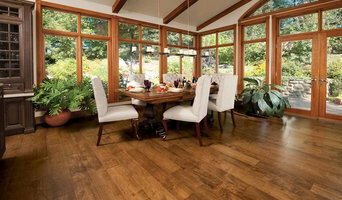 We offer on-staff, certified designers and craftsman installers. See it in 3D. No imagination required! With our efficient process for design build remodeling, we deliver distinctive designs and successful remodels that result in a remarkable 98% client satisfaction rating. Best of Houzz 2016! We are a high quality residential and commercial tile contracting company specializing in the installation of ceramic, porcelain, stone, glass and mosaic tiles. We specialize in complete design build services for most any remodeling project. Please know that we are here to help you through the entire design build process of your remodeling project. You will find that working with AR Bath & Kitchen from the start through the completion, we are able to meet all of your remodeling needs. With more than 27 years experience as an NKBA Certified Kitchen and Bath Designer and a NARI Certified Remodeler, we offer you experienced expert design services. We offer a wide range of valued products and materials for you to choose from, provide you with quality workmanship and on time project completions. We also take great pride in paying close attention to the many project details and supply craftsmanship that produces a quality project that we will all be proud of for many years to come. Finally, keeping our overhead cost low and offering budget friendly design solutions and suggestions, along with our various promotional discounts, are some of the ways we work hard to provide you with the best possible value for your project. With over 30 years of experience in working with solid surface materials here in San Diego, we here at Botticelli Countertops provide craftsmanship for the domestic and commercial markets.